SHOWS BRAND NEW!! Welcome to Whispering Pines on Lake Egret....a lakeside luxury home located in the prestigious community of Pine Ridge Estates along with a 2 BEDROOM 2 BATH GUEST HOUSE! Over 4300sq.ft of A/C living area including guest house! Completely made over and will astound the most discerning buyer. Whispering Pines has been transformed into a West Indies style home that will make you feel like you are always on vacation. Some of the upgrades include New Metal Roof, New Impact Windows, New Kitchen, Newly Installed Paver Driveways, New Reverse Osmosis System, New Front Elevation, Sonos System, New Security System, New Solid Core Doors, New Lighting Fixtures, Boat Dock, Private Fountain, Landscape lighting...the list goes on! You'll love the guest house! Loads of FL Sun!! All this located less than 2 miles to the Beaches, Waterside Shops, Mercato and The Artis! With lake front homes being quite scarce, this home will more than likely move quick. 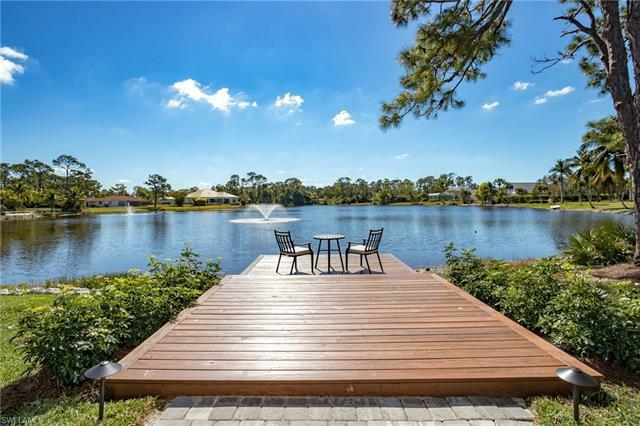 The last home that sold on Lake Egret sold for $3.5 million and there is one currently pending at $4 million.. Pine Ridge Estates was recently rated best neighborhood in America. THERE IS A HOME WARRANTY WITH THIS HOME!